Turkey Gift Certificates are one of the very best gifts for employees in your organization. 1. Meaningful. 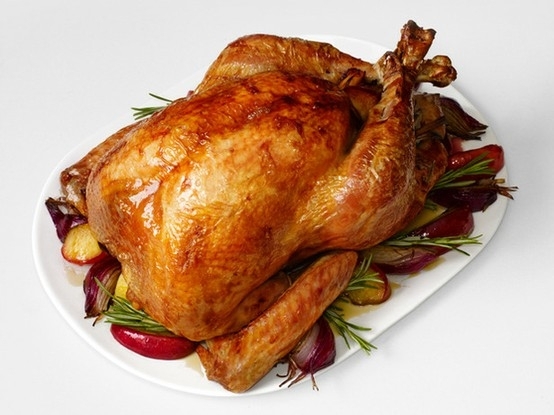 Turkey is the ultimate American food. As part of the Pilgrims’ first Thanksgiving, turkey became the centerpiece of American history and American gratitude. Everyone knows that turkey is a symbol of thanks, abundance and overcoming adversity. Turkey is a family meal. Just think of how many wonderful images you’ve seen of a proud chef bringing a turkey to a grateful table. As an emotional symbol, no food is more prominent in the United States. As the giver of the turkey, your workplace will be front-and-center in the minds of every employee’s family. 2. Practical. Everyone loves turkey; the turkey your company gives will be enjoyed by employees’ entire family. Turkey is affordable; a $15 – $20 turkey feeds a whole party, and there are loads of leftovers for sandwiches, soups and casseroles. Incentive Magazine recently shared new research showing that in today’s economy, employees especially appreciate practical gifts and prefer a gift certificate or gift card to cash. What’s better than the gift of a Turkey? It’s a gift that’s meaningful, affordable and appreciated by everyone. Distributing turkey gift certificates is as easy as distributing any piece of paper. Tuck them in payroll envelopes (or have your payroll service do it); hand them directly to recipients (or have the senior leadership team do it); or mail them to employees’ homes. The convenience of turkey gift certificates makes them ideal for employees in more than one location. If you have a distributed work force, gThankYou! can help make it easy for you to deliver your certificates to every location. The simplicity of turkey gift certificates means nobody has to order truck-loads of frozen turkeys and hand them to employees in the parking lot on a bone-chilling November day. You may have Management that likes the tradition of handing out frozen turkeys; they can still hand out the turkey gift certificates and have a meaningful conversation with recipients at the same time. When you choose to distribute gift certificates, employees can choose the size and type of bird that works for their family and freezer space, and Management can decide when and how they would like to distribute their thoughtful gift. 4. Flexible and Convenient for Recipients. Selecting a turkey is easy for someone with a gThankYou! Turkey Gift Certificate. They go to their grocery store, select the turkey they want and redeem their certificate at the check-out lane. This means gift certificate recipients choose what they want – the right size turkey, the right kind (organic or conventional, smoked, fresh or frozen), any brand they want – at the time they want (Thanksgiving, Christmas, Easter, anytime). A gift of a Turkey Gift Certificate to employees is a thoughtful, meaningful gift of your gratitude for their contributions to your business. Holiday time or any time. Enjoy our FREE eBook on Employee Gift-Giving for more tips and research behind celebrating employees. Free eBook: “Ultimate Employee Gift-Giving Guide” by gThankYou! 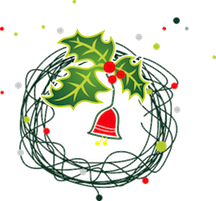 Download your FREE “Employee Gift-Giving Guide”, the perfect resource for your holiday gift-giving planning. Everybody wants to feel valued and appreciated-and that includes your employees. In this handy guide, you learn why recognition is so important to employees and your bottom-line, as well as best practice learning you can put to use in your workplace. Whether you manage others, own a business or are an HR pro, you will find research and tips that will benefit you in managing your most important asset, your employees. We hope you enjoy this FREE eBook and share it with coworkers and friends.